International Nurses Day – 12th May – has been marked today at the Military Medical Academy. In addition to guests and staff of the MMA, the ceremonial gathering was attended by State Secretary at the Ministry of Defence Nenad Neric and Acting Chief of the Military Health Department Colonel Ugljesa Jovicic. State Secretary Neric congratulated the nurses on their reminding that there are about 65,000 nurses and technicians in Serbia, including 900 at the MMA, and that speaking in numbers, it is an army of humanitarian relief workers in white, carrying out about 70 percent of patient treatment jobs . "The nurse call is a responsible one and not everyone can do it. We have good and educated cadre, but we need to find out better ways to retain and motivate them", Neric said and added that it is necessary to find a solution for improving the status of the profession, introducing modern organization of nursing services, which would give a new quality and new contents in the professional work, filling in the staffing deficit, improving the working conditions, increasing the reputation and respect for the profession. The state secretary said that military nurses and medical technicians represent a special category of that profession, which developed together with the military health care itself. Therefore, as he pointed out, the MMA Faculty of Medicine submitted application for the accreditation program for basic vocational studies for nurses. It would continue the tradition from 1956, to have a three-year college for nurses at the MMA. The old one left a footprint in one time producing nurses who were highly valued and respected both in the MMA and in the society. 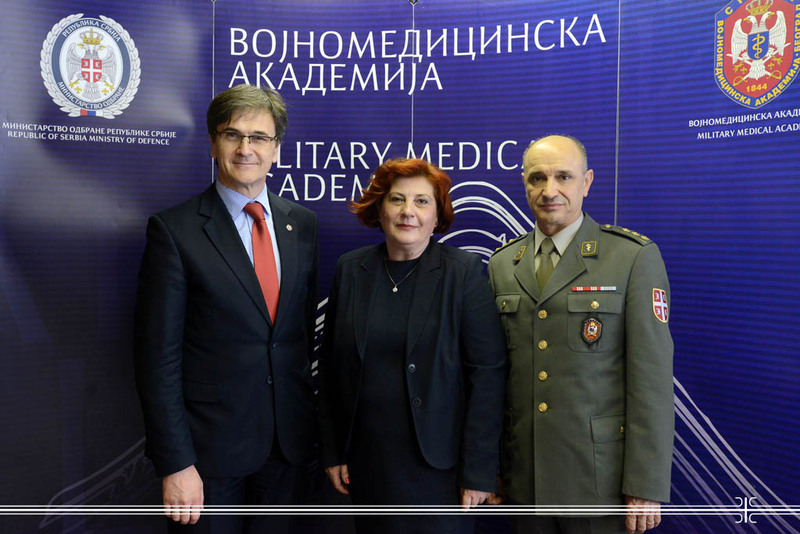 Deputy Chief of the Military Medical Academy Colonel Prof. Dragan Dincic recalled the courageous Florence Nightingale, to whom this day is dedicated. It was in 1854 that she brought together 38 nurses and went with them to the Crimean War. She dedicated two years of her life to the reduction of mortality of the injured soldiers, and later she did a lot for the establishment of nursing profession. Verica Milovanovic, head nurse at the MMA spoke about the nursing profession, the attitude towards it in our society, and the needs for radical changes in the regulation of their status. She pointed out that this profession is very responsible and respected in the world, but not in our country. Milovanovic stressed the importance of continuous education of the medical staff and regretfully concluded that only 10 per cent of nurses in our country have a higher vocational school, and that the European average is 30 percent. At the solemn gathering, the MMA nurse of the year for 2015 was proclaimed. This is the senior nurse Angie Grubisic, head nurse of the MMA Clinic for Hematology.